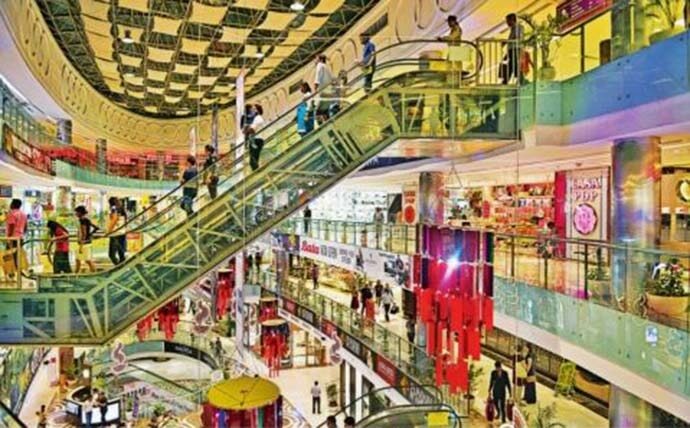 Shopping malls have become new public spaces across urban India. These malls are favourite hanging out places for people from different strata of life, particularly the young and those from the middle classes. That’s why open spaces in malls are becoming attractive venues for product promotion, publicity of new films, installation art and odd social causes. Can these malls be also used to promote science by researchers who work with societal problems? A small beginning was made in a South Delhi shopping mall last week. The George Institute for Global Health, India, and the Wellcome Trust DBT India Alliance jointly organised a street art event in the mall. It brought together artists and researchers to promote awareness on workplace stress, which is a key mental health problem. The event was designed to be a dialogue with people on workplace stress and stigma related to mental health. A short film on the subject produced by the World Health Organisation was also screened. “Workspace stress remains an often-neglected aspect across different industries and countries, including India,” explains Pallab Maulik of the George Institute, who has been researching on the subject. Street plays and live painting by artists on the theme were also part of the event that aroused curiosity among shoppers and provoked them to interact with scientists and artists. This was an attempt to connect artists, scientists and the general community to explore science and health. ‘Arting health’ is an effort to bridge the communication gap between science and society, says Shaheed Jameel, CEO of the India Alliance. The initiative is using biomedical science as inspiration and art as a medium of engagement, he says. A similar event was held in Chandigarh recently where truck art was highlighted as a possible means to promote messages relating to nutrition, food safety, farming, etc. Lakhs of trucks crisscross national and state highways every day and most of them carry some form the truck art. The idea is to use this space on trucks to promote simple messages about healthy food and diets. Truck artists from Punjab were involved in workshops and the artwork developed with help of scientists and artists has been shared with them so that they can paint the messages on trucks they work on. “We are also planning to share the artwork with some truck artists in Delhi,” says Sarah Iqbal, public engagement officer at the India Alliance. Taking science to public spaces like malls and using truck art are creative ways of public engagement. We need more such efforts across the country and by different groups, particularly scientific bodies, like academic and research institutions, state science and technology councils and science communication agencies. Fortunately, some excellent initiatives have already begun, like ‘dial a scientist’ of the National Centre for Biological Sciences in Bangalore and ‘Chai and why’ of the Tata Institute of Fundamental Research in Mumbai. ‘Science at the Sabha’ by the Institute of Mathematical Sciences in Chennai is designed on the lines of music sabha tradition. Hopefully, this tribe of scientists that believes in communicating science to the public in creative and engaging ways will grow. Also read: Fortnite Fever: Are video games now causing divorces?